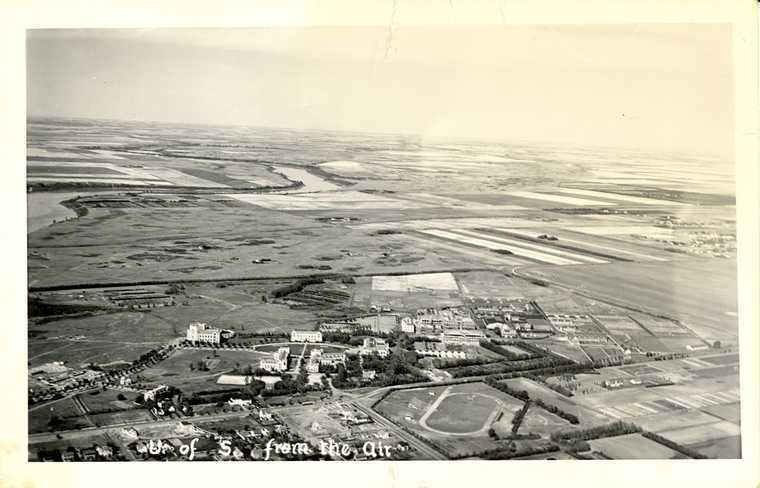 Scope and content Aerial view looking down at the University of Saskatchewan campus and surrounding lands. To the left Emmanuel, the observatory, chemistry building, "bowl" and surrounding buildings are all visible, as is Griffith stadium, the greenhouses, and the Engineering/Agriculture/Farm areas to the right. To the northwest of the campus research orchards and fields can be seen, as can the South Saskatchewan River.